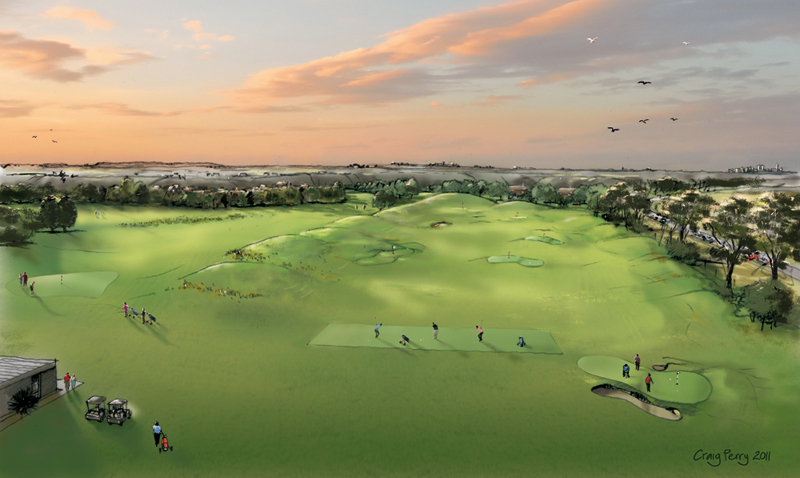 My client was reconfiguring a golf course to create a new practice tee and wanted a couple of illustrations for a committee meeting. I decided to create an elevated view point and an early morning feel with the sun rising from the left. This is a digital painting over a pencil sketch with some photographic sky.